Make sure when your planting baskets, bedding or pots that you're giving them the best start as you use this product through the season. 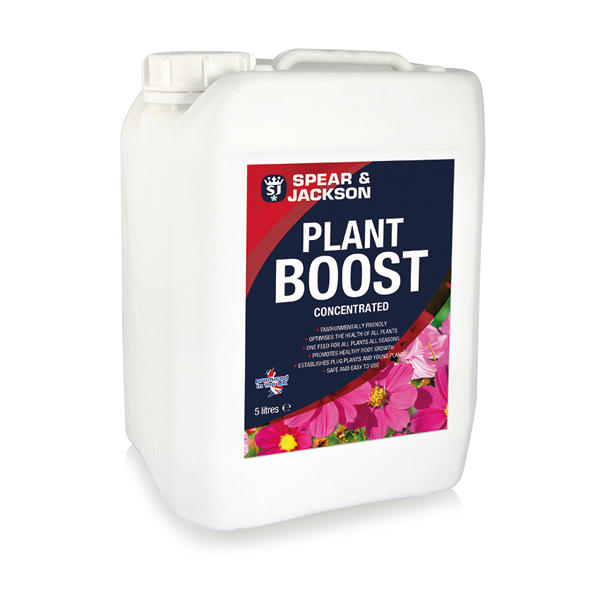 This product is used commercially on many Vineyards by Fruit Growers, Vegetable Growers and in Horticultural Nurseries throughout the UK, and now you can benefit from the power of Plant Boost in your garden. This immensely popular product can benefit nearly everything in your garden. Comes extremely concentrated for the best value. Use the 25ml cap to measure. Tamper-evident security seal for peace of mind. In the spring when you have small plug plants you can make up a solution of plant magic to dip the roots into before potting or putting into tubs or baskets. It is important that because these are very young plants to make the dilution rate at of the normal dilution rates about 6mls or 1 teaspoon into 4.5 Litres (1 gallon) of water. After 1 week repeat the process but this time at half the normal rate about 12 mills. or 2.5 teaspoon per 4.5 litres (1 gallon) of water. Keep out of reach of children - If swallowed seek medical advice immediately and show container - In case of contact with eyes, rinse immediately with water and seek medical advice - Store in well ventilated areas - Store in upright position and secure when transported. Suitable for use with domestic garden chemicals when used in accordance with manufacturer's instructions.